Are Saudi Arabia and Turkey About to Intervene in Syria? The pro-Kurdish Peoples’ Democratic Party (HDP), responding on Thursday to President Recep Tayyip Erdoğan’s remark that there is no negotiating table in the settlement process aimed at solving Turkey’s Kurdish issue, has said that there is a table, but the chairs around it now sit empty and that they have arrived the end of the road in the settlement process. A delegation from the HDP, which has been making regular visits to İmralı Island to meet with the outlawed Kurdistan Workers’ Party’s (PKK)’s imprisoned leader, Abdullah Öcalan, since the start of the settlement process in 2012, held a press conference at Parliament on Thursday. HDP Deputy Co-chairman Sırrı Süreyya Önder, HDP deputy Pervin Buldan and HDP parliamentary group deputy chairman İdris Baluken were in attendance. Istanbul police staged crackdown on thousands of people who poured out into the streets today to celebrate the International Worker’s Day. Masses wanting to march to the symbolic Taksim Square faced brutal attacks by police teams heavily deployed around the square. Meeting will explore Kurdish involvement in establishing peace across Middle East. A two-day conference on the “Kurds and Peace in the Middle East” began in southeast Turkey on Saturday. Organized by the Humanitarian Relief Foundation in Turkey (IHH), the meeting will be attended by 700 academics, politicians and civil society representatives and will feature speakers including Secretary General of International Union of Muslim Scholars Ali Mohiuddin Qara Daghi and former President of the Syrian National Council Abdulbaset Sieda. In yet another blow to judicial independence and the rule of law in Turkey, a judge was arrested early on Friday, following his recent ruling for the release of journalist Hidayet Karaca and 63 police officials who have been under arrest for four and a half months; while another judge who contributed to the release order is also subject to an arrest order. A prosecutor had refused to enforce the ruling and the prisoners were not released. It’s been a hundred years since so many Armenians were killed in this part of southeastern Turkey. But Sona Mnatsakanyan is still nervous about visiting. “I am a bit scared. We know what happened here and that up until today it remains unresolved. That gives the narrow streets of this city something creepy,” she says, standing in the courtyard of an old renovated inn in the historical heart of Diyarbakir. So apprehensive was Sona, a lecturer from the Armenian capital Yerevan who now lives in Istanbul, that she and her friend told her taxi driver on the way from the airport that they were from Georgia. A Turkish court ruled on Wednesday for the acquittal of all 26 defendants in a trial into the Gezi protests that occurred in summer 2013. Among the defendants are members of the umbrella group Taksim Solidarity Platform, including Mücella Yapıcı of the İstanbul Chamber of Architects and İstanbul Chamber of Doctors Secretary-General Ali Çerkezoğlu. PYD (Democratic Unity Party) has been officially invited to Geneva III summit. Democratic Autonomy Administration European Representative Sinem Mihemed said the organising committee for Geneva III will meet early May. 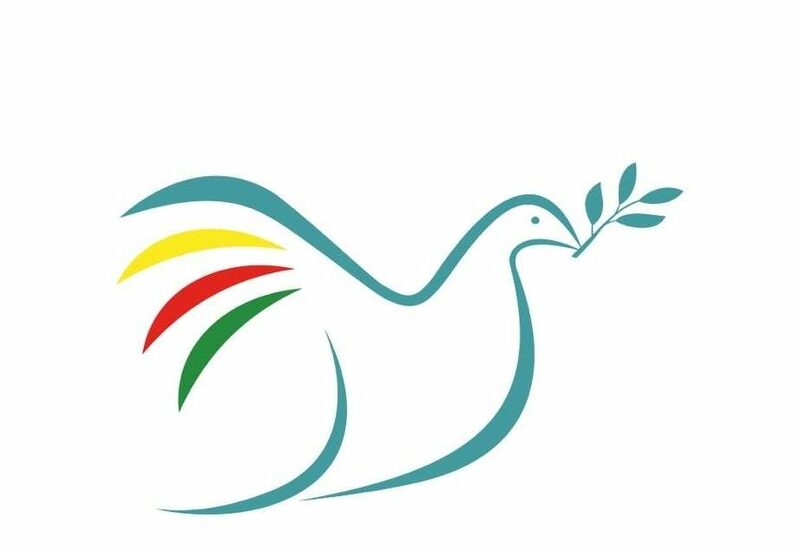 According to a report by ANHA News Agency, PYD has been invited together with various other opposition groups in Syria to Geneva III conference which seeks a political solution to the crisis in Syria and proposes negotiation between Baathist regime and the Syrian opposition. Cîhan Mihemed of the Women’s House in the Rojava town of Rimêlan say that the institution aims to solve the problems of all local women. The Women’s House in the town, located in Cizîrê Canton, has been operating for the last one and a half years to support women in matters of violence, economic support, cultural life, and more. In multicultural Rojava, the Women’s House serves not just Kurdish women, but Arab and Assyrian women in the town. Turkey has sent back a Danish truck of aid for Kobanê which departed on 14 March and was held waiting at Bulgaria-Turkey border customs gate for over a month. The truck loaded with aid for Kobanê, which included clothing, blankets, toys and personal cleaning supplies, left Copenhagen in mid March. The truck which was held waiting at Hamzabeyli customs gate at the Turkey-Bulgaria border since, was referred back to the Danish city of Værløse one month later on the grounds of not having a license of donation. 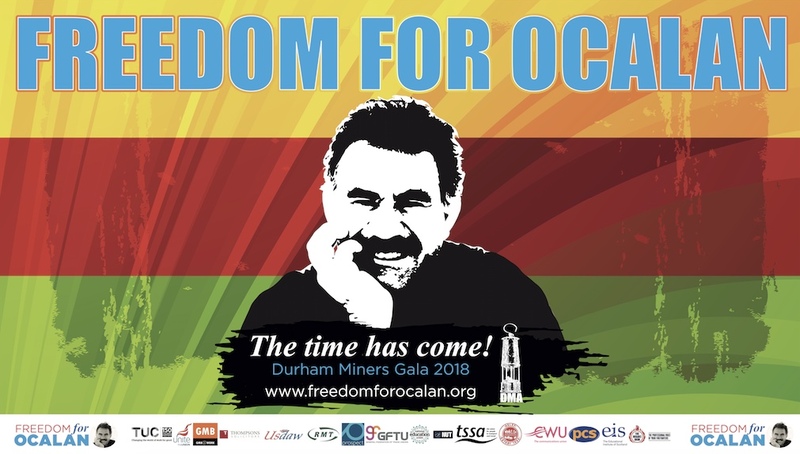 The aid had been collected by Furesø Municipal Council Member Celal Deniz Kılıç and Kobanê Støttefond Association as part of a campaign in solidarity with the Kurds in Rojava. The Kurdish Friendship Group in the European Parliament (EP) has discussed the reconstruction of Kobanê, the situation in Sinjar and the HDP’s perspective regarding the 7 June elections. Marie Christine Vergiat from the French Left Group said that everything must be done to support Kobanê, where a heroic resistance is continuing. Vergiat also emphasised the importance of the HDP succeeding in the elections, saying she hoped the elections would take place in a safe environment. 60 members of the European Parliament from various countries have issued a statement calling on EU and member states to provide urgent support for the reconstruction in Kobanê and ensure the opening of a humanitarian corridor into the town. The urgent appeal addressing to the EU and member states recalled that the Kurdish people, Kwomen’s Defense Units in the first place, mounted great resistance to the attack launched by ISIS against the Kurdish canton of Kobanê on 15 September 2014. The battle for the Syrian border Kurdish town of Kobani in Syrian Kurdistan was a watershed in the war against the Islamic State group — Syrian Kurdish forces fought the militants in rubble-strewn streets for months as U.S. aircraft pounded the extremists from the skies until ultimately expelling them from the town earlier this year. It was the Islamic State’s bloodiest defeat to date in Syria. But now, three months since Kobani was liberated, tens of thousands of its residents are still stranded in Turkey, reluctant to return to a wasteland of collapsed buildings and at a loss as to how and where to rebuild their lives. In the week leading up to the 100th anniversary of the Armenian Genocide, British-Armenian historian Ara Sarafian led a group of students, academics and journalists on a mission to engage with local Kurds and the descendants of Armenians in the Kurdish region of Turkey. It was in these towns and villages, 100 years ago, that the Armenian population, as well as many Assyrians, were forced from their homes and killed or deported by the state and its deputies. The Ottoman bureaucracy, supposedly fearing non-Turkish populations would revolt and carve off Ottoman lands to create new nation-states, exploited tribal, class and ethnic tensions to encourage local Kurdish leaders to murder their neighbours and steal their lands. Without any doubt, Turkey has become the hyper-center of the Middle East turmoil whether weighed against the situation in Yemen, the Iranian nuclear program, the so-called Israeli-Palestinian peace process, or even the on-going Syrian civil war. It’s not only random Turkish people living in the border provinces of Hatay, Antep, Urfa and Mardin who feel the pressure. The Syrian question is haunting politicians like the Kemelist, social-democratic party (CHP wants to send the Syrians back home) and academicians, who might not yet get the “miracle” solution, but all agree, none will be the winner or the loser. With their feet on broken stones among high weeds, a group of Armenians from all over the world stands together in prayer. 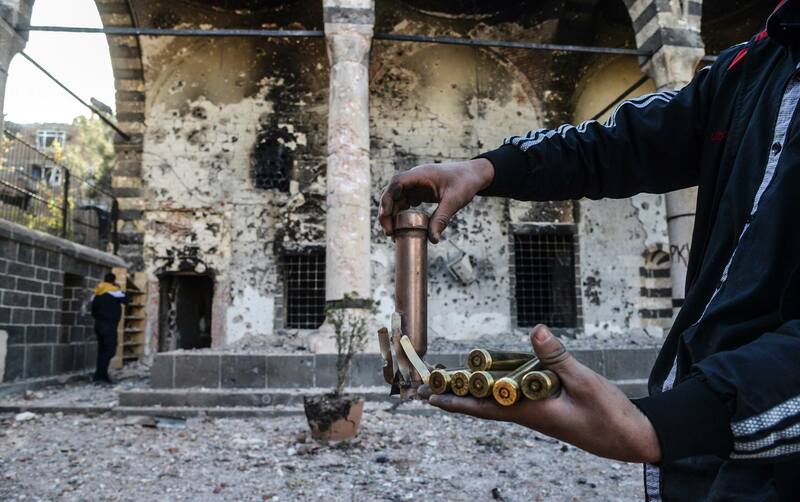 They are inside the Surp Sarkis Church in the historical center of Diyarbakir in southeast Turkey. Although “inside” is relative: Only the walls are standing, the columns and the arches. Although this place of worship is decaying, the memory of the Armenians is brought to life again, precisely here in the region where so many lost their lives in the massacres of 1915. The Kurdish political movement acknowledges that a genocide took place on these lands and facilitates the revival of Armenian culture in any way they can. The story of Gallipoli is not unitary. Thousands of stories fill up the emptiness of curiosity. It expresses an inquisitiveness of actuations of brave souls who fought and died. Two opposing narratives are billowing Gallipoli: a campaign to take over Hellespont and a defense to rebuild imperial sovereignty. Beyond from these narratives, a resounding phenomenon is about to be born. Reverberating from Augsburg (1555), Westphalia (1648), England (1688), Philadelphia (1776), Paris (1789) to Istanbul (1923), and fostered by the Enlightenment thinkers. A mysterious whistleblower who tweets under the pseudonym Fuat Avni claimed in one of his latest messages that President Recep Tayyip Erdoğan, whom he calls “Yezid,” ordered the manipulation of polls ahead of the June 7 election in favor of the government. This is because, he said, Erdoğan was extremely unhappy with the result of the latest opinion poll shared with him privately by a pro-government pollster. The results of this poll suggested that the votes of the ruling Justice and Development Party (AKP) have fallen to 40 percent, which means it cannot win enough seats to even set up a single-party government. Founders of many modern states, including stalwarts of anti-terrorism like Israel and allies in the war on terror like the Kurds, achieved goals with political violence that killed innocent people and would be classified today as terrorism. Political violence should be recognised as a reflection of deep-seated social, economic and political problems – rather than demonised through terms like terrorism or evil, argues James M. Dorsey. Recent events in the war in Syria make for pretty grim reading. The death toll continues to rise, to the point where the UN is no longer seriously counting. There was more than 257,000 dead on all sides at the last count, according to the most widely-cited figures, that of the pro-opposition Syrian Observatory for Human Rights. The SOHR issued its latest grim tally on 16 April. This figure includes civilians and combatants. The majority of the dead (almost 150,000, or 58 percent) are combatants. Of those combatants, the majority (55 percent) are Syrian army forces, pro-regime militias or alleged informers. Papers and presentations from this year’s Challenging Capitalist Modernity Conference, held on 3-5 April 2015, are now available to view online, including papers by Havin Gunesser, Janet Biehl and Dr Radha d’Souza.